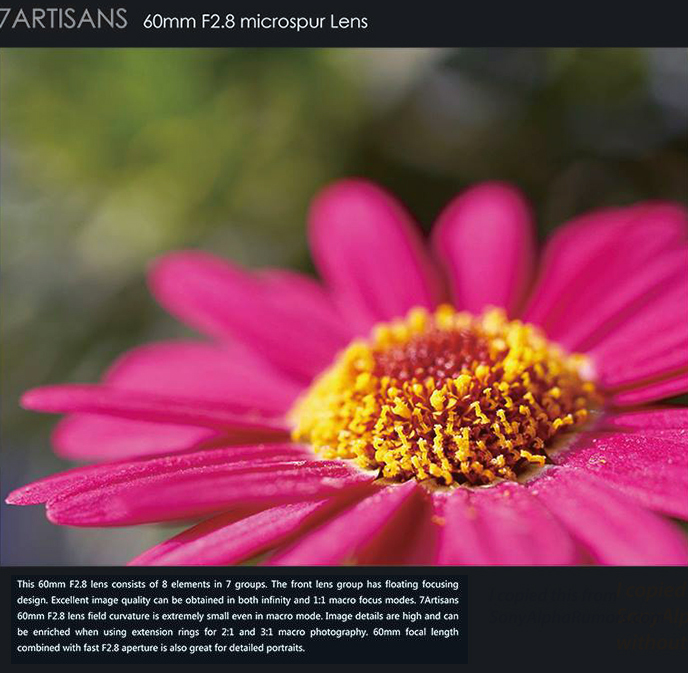 An anonymous source sent us this first image of the new 7Artisans 60mm f/2.8 macro APS-C E-mount lens. There is no info on the pricing and availability date yet. Just recently 7Artisans launched the 35mm f/1.2 lens which is now in Stock at Amazon US, Amazon DE, Amazon FR, Amazon UK, Amazon IT, Amazon ES. Note: The description above contains an erorr when describing the Lens construction. This is a screenshot from a beta page. So It is still under construction and mistakes will be fixed.